The people of Bellevue are frugal with their money, and these days, that’s a pretty important thing. Still, when it comes to a reliable vehicle to which we can trust the safety of those we love most, we’re justifiably hesitant to pinch pennies most of the time. However, Hyundai believe we can have the best of both worlds through their certified pre-owned program. Not just an affordable way to get Hyundai quality, these vehicles have undergone a rigorous 150-point inspection that leaves positively no stone unturned. Couple this with a thorough, comprehensive 5-year/60,000 mile new vehicle warranty, and you have yourself what theoretically amounts to a practically new car for a fraction the price. Still skeptical? That’s completely understandable, given the stereotype often associated with CPO vehicles. 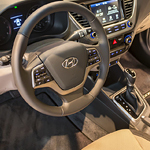 Why not come visit Todd Archer Hyundai today and take one of these for a test drive and see for yourself!